Today marks the 7th year of doing business as Karma Yacht Sales- The Lake Michigan Sailboat Specialists for Beneteau and Alerion Express. I thought I would write a bit about our key learnings to date. To say that it has been a journey would be an understatement. It has been everything we expected and then some. I thought I'd speak a bit to how we got here, what we've learned and where we plan on going. 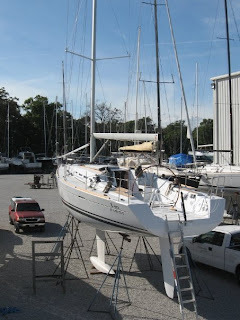 Both Jack and I were relative outsiders to the marine brokerage & services industry when we first embarked on the notion of buying Darfin Yachts LTD. from Joe and Elaine Darby way back in 1999. Our profiles did not fit the traditional make-up of a boat dealer. We were both born to working class parents and grew up in a working class neighborhood. Something atypical when it comes to what you first think of when you hear the word "Yacht Sales". Our parents instilled common sense , traditional values and taught us to keep our feet on the ground. We didn't have a long sailing resume or a pedigree in any yacht club- we just loved sailing and had sound business sense. While we have always had a strong entrepreneurial zest that we applied to everything we did prior to KYS- we were calculated in our movements. Calculated risk takers you might say if you had to 'brand us'. No risk could be as great as the day we decided to buy into the business. Our venture into this business started out with our being customers first. An intimate way to learn about the boat buying process and what we would do the same or improve upon. Jack brought fourteen years of experience as a manager in the retail industry. His ideas and methodology around customer service, retailing, advertising and business operations have served our business well and have been the foundation on which we've grown. Jack quit his paying job full time two years prior to closing on the sale on September 30, 2002 and joined the Darbys to learn the intricacies of the business from the inside out. I brought sixteen years experience in medical sales and marketing. I'd dabbled a bit in a boat management service in Seattle and Miami as a side venture to my full-time job. I was still a neophyte by practical standards in the industry. 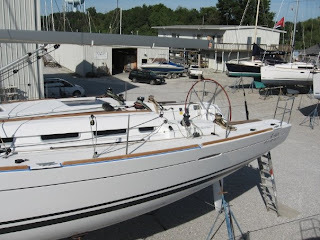 I'd worked boat shows for the Darby's after buying our 2000 Beneteau First 33.7 from them with Jack , my brother and a close friend mostly because I knew the product (from having researched the company during our purchase) and because of my selling skills. I worked part-time and on weekends at KYS after closing on the purchase mostly until we pipelined enough sales and reached a level of profitablity that could sustain our livelihood and those of our service staff. I left the corporate world full time in early 2005 and dedicated all my efforts to KYS. While we did buy an existing business with a strong footprint in the local marine market, we had strong ideas on the direction we wanted to take our fledgling company. We moved our new acquisition into a lofty office at 1945 S. Halsted from the basement in the Darby's house that had housed Darfin for over 30 years at 6008 S. Archer. The office was an atypical space, a relection on our perspective and what we brought to the industry. Basically it was a converted balcony for the auditorium in an old school gym that had been converted into office space. Who would have thought you'd find a yacht dealer in East Pilsen? The space spoke to us because it had alot of bright light (quite a change from THE basement) and it was close to Crowley's Corbett Street location where we stored our inventory. In 2004, we moved into a street level space a few doors down at 2001 S. Halsted. We'd grown accustomed to the proximity of the East Pilsen area in relation to the lakefront and our primary boat yard. As Crowley's moved their operations to the new 95th Street location coupled with rising rents drove us to start our search for a place of our own. In 2007, we closed on the property at 3635 S. Halsted. We temporarily moved immediately next door to manage the conversion of the building that had once housed a laundry mat. In January 2008 we officially cut the ribbon on our renovated new main office. Later that month- we hosted our sixth annual Open House with over 130 attendees! It goes without saying that ALL OF THIS would not be possible with out the dedicated support of all of YOU! Our existing Beneteau customers and the sailing community in Chicago. It is often said that the day we stop learning is the day we die. Our last seven years have been full of teachings. No business school, no lengthy resume can prepare you for the world of owning your own business. We are often told that it seems we work harder now than we ever did. Maybe so, but it's a true labor of love. The dedication of our the Karma Service team has been a big part of our success. In a time during which- it seems like there are 'brokers' popping up in all forms and fashion. We remain true to our loyal Beneteau fans and the sailing community that has been so supportive. 1. Service is key- Some of our competition pride themselves in having 'no overhead' within their operation. While that may be true, what we've learned is that having the right team of experts on hand makes a world of a difference. You can sub-contract your commissioning to other service providers, but in the end you lose control over the one thing that defines your business-the quality of workmanship. The customer doesn't care that YOU weren't the one that put their boat together- they want to know that when a problem arises (because they always do) someone (YOU) will be around to help them sort it out. It has been one of the biggest differentiating factors for KYS is our start to finish involvement in commissioning and preparing your boat. It is the reason we have been awarded the President's award for customer service from Beneteau six years in a row (out of seven). The one year we didn't receive it- was 2002 because of when we took over the business. 2. Quality =Value - In a market where it seems like there are dozens of new models coming out yearly. We know it becomes confusing for many to wade through the spin brought forth by different manufacturers. 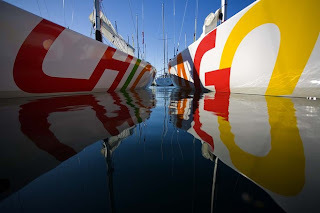 As the #1 manufacturer of sailboats worldwide- Beneteau has the formula down. We know our customers have the option of choosing other brands with an allure and price tag to go along with it. 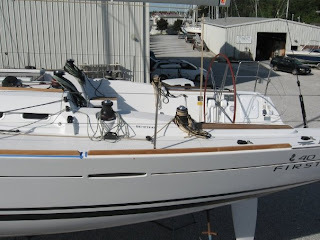 In the end, it is the quality and reputation of Beneteau that sells. All you have to do is visit any Chicago or South Lake Michigan harbor and the truth is on the docks. Beneteau's are everywhere- thanks to all of you. 3. You need to know...we aim to please- The toughest thing to manage sometimes are the various expections of our hundreds of customers. We know alot about boats, but sometimes we don't have all the answers. If we don't - our goal is to at least find out for you. There is alot that goes on with the 1000's of parts on a boat. Sometimes the answer is very clear cut and other times it isn't. Often- we are at the mercy of our 100's of part suppliers and their varied inventories. 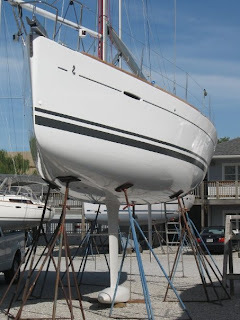 We triage issues based on the impact to your ability to functionally sail your boat. Often- it may mean putting some of the esthetic issues on the backburner as time allows. We can go on for days about the various lessons obtained in seven years. Perhaps we can do that over an adult beverage sometime. For now- THANK YOU all for your past and continued support. With your blessings we hope to have many more years of serving the Lake Michigan sailing community. Be among the first to experience the NEW Beneteau First 40 by Farr Yacht Design premiering at the Annapolis Boat Show. Followed by an exclusive VIP preview of the NEW Beneteau 58. The newly designed First 40 has hit the shores of North America. 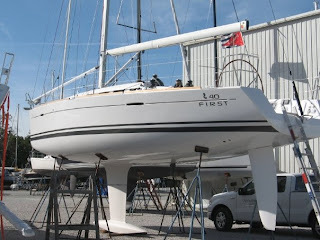 Hull # 44 is the "First" 40 designated for North America. She has arrived in Annapolis and is currently being prepared for her debut at the United States Boat Show October 8-12 . The result of the continued collaboration between the Beneteau, the world's #1 manufacturer of boats and Farr Yacht Design- the New First 40 will look to continue the strong lineage of Farr Yacht Designed 'First series boats that have come before her. The New First 40 boasts over 50% greater sail area than her predecessor which translates into better sailing performance whether you are racing or cruising. Her fresh rig dimensions, keel design and styling will also make your adrenaline rush. Be one of the first to see the First 40 at the show, but better yet, be one of the first to own one. Contact KYS to learn more. In an unprecedented attempt to optimize time, talent, and valuable ISAF Grade 3 match race points, the Chicago Match Race Center (CMRC) will host two consecutive match race events to close their 2009 competitive season. The first, held over Thursday, September 17th through Friday, September 18th, will feature eight invited teams from around the US, while the second, held over Saturday, September 19th through Sunday, September 20th, will add two more teams for a field of ten. Visit the Chicago Match Race Center Website for more info. If you have never been to the United States Sailboat show in Annapolis, MD- you've not experienced the grandfather of all boat shows. 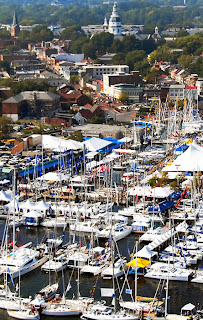 Karma Yacht Sales will once again attend the U.S Sailboat Show -October 8-12, 2009 (in it's 40th year) at the city docks in historic Annapolis. All the major manufacturers will be at the show which makes for a perfect environment to see boats that may not be available on the Great Lakes. We will of course be present at the Beneteau display which promises to once again be one of the largest and most visited. Beneteau will be displaying their full Beneteau Series 31, 34,37,40, 43, 46,49 and 54 as well as the First Series: First 10R, 36.7 and the North American premiere of the new First 40. 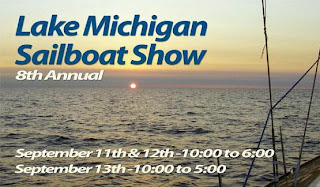 Karma Yacht Sales will once again take part in the 8th Annual Lake Michigan Sailboat Show in Waukegan, IL- September 11-13, 2009. If you are considering a new boat, pre-owned boat or would like to list your boat for sale, There is no better time than now. Call and speak to one of our sales professionals today. See the map below for directions. See you there. *Advanced pricing available for a limited time. Call for details and requirements.